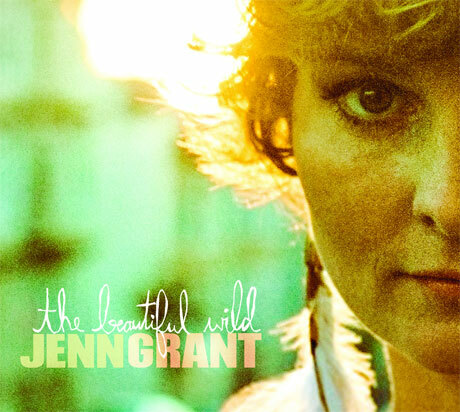 Halifax's Jenn Grant has carved out a solid career with her charming vocals and heartfelt lyrics. This week she released her fourth full length album The Beautiful Wild. There's a military precision to many of these songs. The album opener, "The Fighter", features a fiddle and snare drum (which appears a few times) that make you feel you are marching towards the battlefield. Forceful rhythms on "Gone Baby Gone" give it the air of a song that would be on the soundtrack of a post-apocalyptic wasteland movie. It doesn't take long for Grant to return to her strong suit though. "I've Got Your Fire" is a reassuring song that is warm and comforting. Horns and a soulful delivery on the standout "White Dove" bring on the bop and sway. "One More Night" sees Grant in full Dusty Springfield mode. I'm not sure what to make of "I Want You Back". It truly is a schizophrenic song. Grant begins with a croon, then moves into pop, adds gruff backing vocals, and finally a children's choir. All of this over top of another precise marching band drumline. Equally confusing, is "Green Grows the Lilac", a track on which Grant essentially turns "Eye of the Tiger" into a piano ballad. It's an interesting take, if not a little odd. The weakest spot on the record is the number of unremarkable subdued ballads. "Michael" and "Hollywood" are both rather difficult to engage with, lacking passion and lyrics of note. "Aida" is headed down that same path until the backing vocals at the end of the song steer it home. Grant brings it all home with the exceptional "In the Belly of a Dragon". At its apex, the revelation of a track will compel you to throw your hands up in the air and shout 'Hallelujah'. She takes a winding road to get there, but Jenn Grant does make you a testify in the end. Jenn Grant plays the Winter Garden Theatre in Toronto on November 24th with Cuff The Duke. Best tracks: "White Dove", "I've Got Your Fire"
You don't seem like you have a great appreciation for music. The Eye of the Tiger cover of the Moving Day movie was simply amazing. You better shut up if you have nothing good to say. Critics like you makes the music industry go from bad to worse. Jealous!!! Wow, this is the most scatterbrained comment I've read in quite some time.